One king, or rather an emperor, Francis I of Austria (the father of Napoleon’s second wife Marie Louise), was known for his skill in making sealing wax. Like door knockers, sealing wax used to be a feature of everyday life. 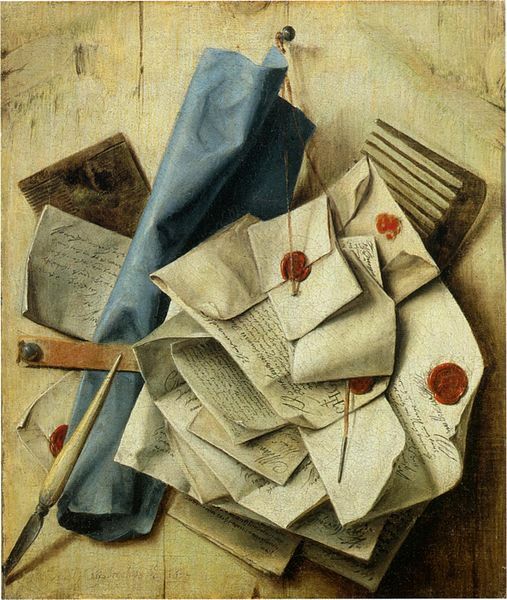 Sealing wax was used to securely close letters and other documents before the introduction of gummed envelopes in the late 19th century. When stamped with an engraved stone or piece of metal, such as a signet ring, sealing wax was also used to confirm the identity of a document’s signatory. Particularly before the advent of mass literacy, seals were a common means of authenticating contracts, wills and other documents. Wax seals could be placed directly on a document, or attached by a ribbon, cord or strip of parchment. Cheaper forms of sealing wax were used to seal wine bottles and fruit preserves. Sealing wax is still available today, though it is used more for show than security. Good sealing wax is easy to melt; sticky enough to adhere firmly to parchment, paper, ribbon, cork or glass, but not enough to cling to a polished stone or metal seal; and pliable enough to hold an impression stamped upon it. Sealing wax hardens quickly as it cools, retaining any impressed image, and forming a bond that is difficult to break without leaving signs of tampering. Heat one end of a stick of sealing wax over the flame of a candle. When the wax starts to melt, either drip or smear some melted wax onto the desired position. If you want to add a design, quickly and firmly press a seal into the soft wax, and then release. Let the wax cool. Be careful not to get melted wax on your hands. It can burn you. Francis learned how to make sealing wax when he was young. He also made varnish, lacquered and carved boxes, and birdcages. Travelers to Austria circulated jokes about his fondness for sealing wax. An Austrian seal, made of gold and mother-of-pearl, circa 1810. 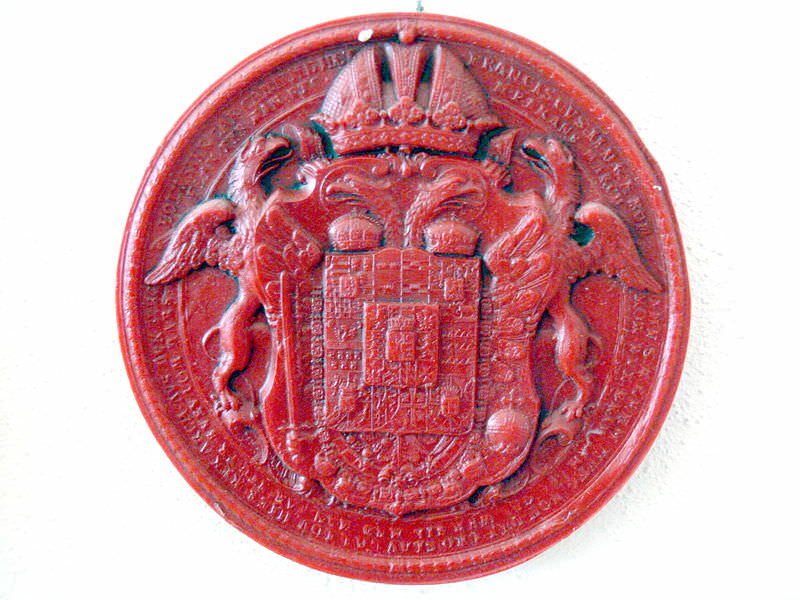 The word “seal” is used both for the device used to make an impression on sealing wax, and for the resulting wax impression. It’s not clear what recipe Francis used to concoct his sealing wax. During the Middle Ages, sealing wax was made from beeswax and “Venice turpentine,” a resinous extract of the European larch tree. By the 17th century, sealing wax was also being made from shellac, a resin secreted by the female lac insect on trees in India and Thailand. Sealing wax was usually coloured red with cinnabar or vermilion, or black with lampblack (soot from burning resin). Sometimes it was perfumed. The ingredients were melted together, well-mixed by stirring, and, while still soft, either cast into moulds of the desired shape or rolled into sticks on a smooth surface. Here are some sealing wax recipes from the early 19th century. To every ounce of shell-lac, take half an ounce of resin and vermilion, all reduced to a fine powder. Melt them over a moderate fire; and, when thoroughly incorporated, and sufficiently cool, form the composition into what are called sticks, of any length or thickness, and either flat or round, as may be thought best. On account of the dearness of shell-lac, seed-lac is usually substituted, even in what is denominated the best Dutch sealing-wax. Boiled Venice turpentine may be used, with good effect, instead of resin. Thus may be made a fine red sealing-wax; which will not only do, what is often falsely impressed…on very bad wax – ‘Burn well, and hold fast;’ but look well also. A more ordinary sort, but sufficiently good for most occasions, may be made by mixing equal parts of resin and shell-lac with two parts of red lead and one of vermilion, instead of all vermilion…. In a still commoner sort, the vermilion is often entirely omitted; and even a very large proportion of whitening, strange as it may seem, is actually introduced. 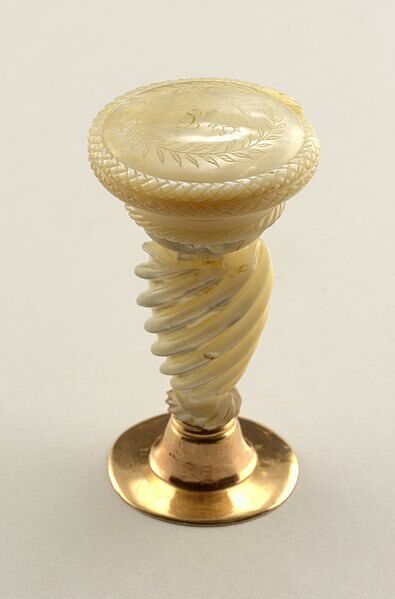 This sealing-wax is made by stirring into any quantity of melted gum-lac, or shell-lac, half its weight, or less, of finely levigated ivory-black; adding, to improve the beauty of the wax, as well as to prevent its becoming too brittle, half their united weight of Venice turpentine. When the whole is properly melted, and incorporated by sufficient stirring, over a slow fire, it is poured on a stone or iron plate which has been previously oiled over; and while soft, rolled into sticks. The sticks, both of red and black wax, are lastly exposed to a proper degree of heat for acquiring an agreeably glossy surface. In a similar way, [by] substituting verditer, Prussian blue, and other proper powders, for ivory-black, may easily be made sealing-wax of any desired colour. Soft Sealing-Wax, for Impressing Seals of Office, &c.
Seal of Holy Roman Emperor Francis II, 1792. In 1806 Francis dissolved the Holy Roman Empire, after being defeated by Napoleon at the Battle of Austerlitz. 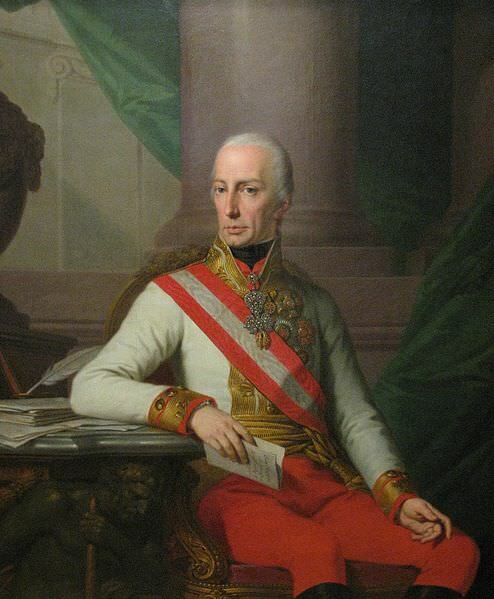 He retained the title Emperor Francis I of Austria. There is no word on whether Francis made the sealing wax employed in the following escapade during the Battle of Rivoli in 1797. Lewis Carroll, Through the Looking-Glass and What Alice Found There (London, 1882), p. 75. M. Kubrakiewicz, Revelations of Austria, Vol. I (London, 1846), p. 5. Harold Nicolson, The Congress of Vienna (New York, 1946), p. 38. James Kirke Paulding, A Sketch of Old England, Vol. II (New York, 1822), p. 236. Henry E. Dwight, Travels in the North of Germany in the Years 1825 and 1826 (New York, 1829), p. 345. The Family Receipt-Book: Or, Universal Repository of Useful Knowledge and Experience in all the Various Branches of Domestic Oeconomy (London, 1810), p. 34. Emmanuel-August-Dieudonné de Las Cases, Memorial de Sainte Hélène: Journal of the Private Life and Conversations of the Emperor Napoleon at Saint Helena, Vol. II, Part 3 (London, 1823), p. 177. When I was a boy, in the 30s, everybody had sealing-wax , just like ink and pens, and often used it to seal letters. Talking of ink, it is now as expensive as very, very fine brandy, tax and all., literally twice an ordinary bottle of French brandy. Letter writing has changed! Thanks for an interesting post. You’re welcome, Geoffrey. I’m glad you liked the post. Letter writing certainly has changed. Had no idea about the cost of ink! When I started school, the desks still had ink wells, but we never had occasion to use them. 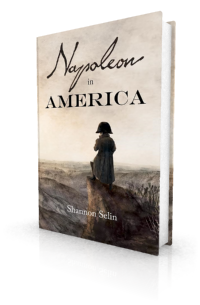 When the treaty with Napoleon Bonaparte, which annihilated his power in Italy, was brought to him, he was observed to ponder upon it, and examine the seal for some time, as if almost afraid to investigate the contents. At last he was heard to exclaim to himself – ‘Um – it is not better than I can make’ – meaning the wax of the seal!